As children, we were told to eat our carrots if we wanted good eyesight. Carrots contain beta-carotene, which the body can convert into vitamin A―a necessary nutrient for optimal vision. For most of us, that’s where our knowledge of vitamins and eye health stops. 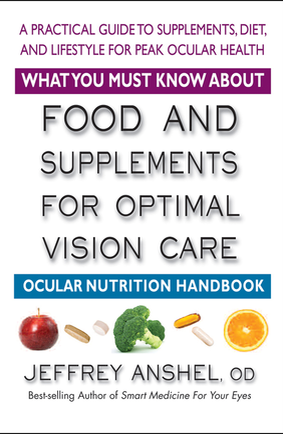 Over the last twenty years, many studies have demonstrated that certain foods and natural supplements can play a major role in the treatment of eye problems. 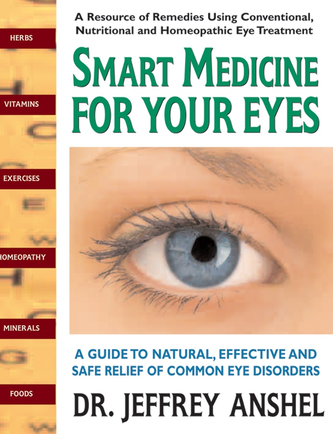 From the best-selling author of Smart Medicine for Your Eyes comes a new, concise guide to these powerful substances. Age-related macular degeneration―AMD―is the most commonly diagnosed eye disorder in people over fifty. Well over two million Americans have been told they have AMD, and that number is expected to grow substantially. While this is a frightening statistic, over the last several years, medical researchers have shown that a number of effective treatments can slow, stop, and even reverse the progress of AMD. 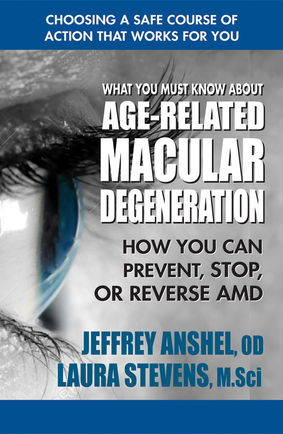 Now, best-selling authors Dr. Jeffrey Anshel and Laura Stevens, who herself has been diagnosed with this condition, have joined forces to produce an up-to-date guide to what you need to know to combat and even prevent AMD. 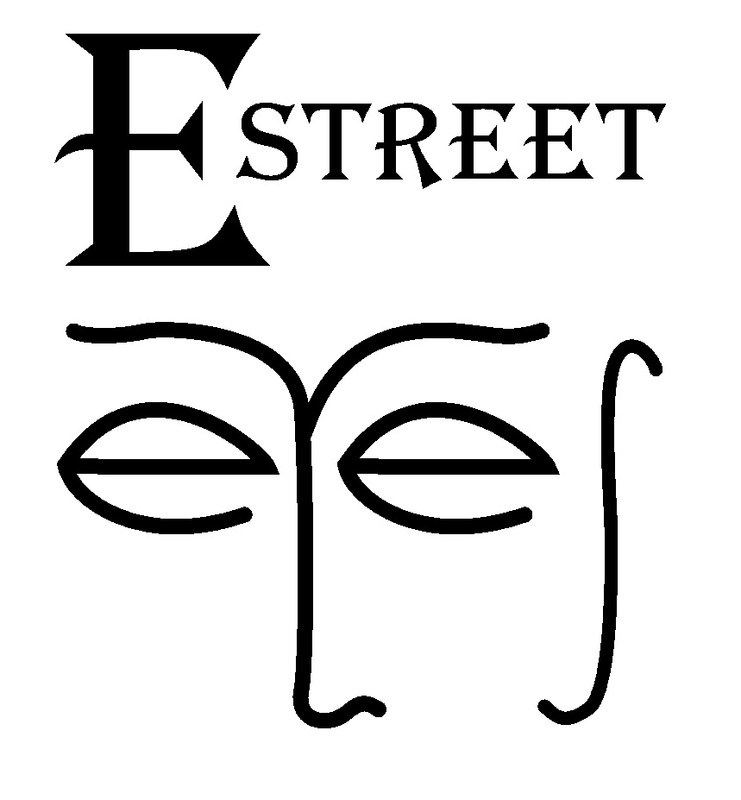 Trouble can start with headaches and blurred vision, or simply with redness and tearing. Certainly, going to an eye-care professional is essential, but to be part of the solution, you must be informed. That’s why Smart Medicine for Your Eyes was written. Here is an A-to-Z guide to the most common eye disorders and their treatments, using both conventional and alternative care. Viewing an electronic display screen varies significantly from reading text on paper and human eyes often suffer for it. 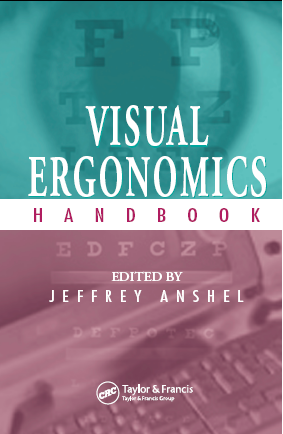 Featuring cutting-edge research in the field of visual ergonomics, Visual Ergonomics Handbook focuses on vision and eye-care issues in both the office and industrial setting, including eye safety issues in industrial plants and construction sites. 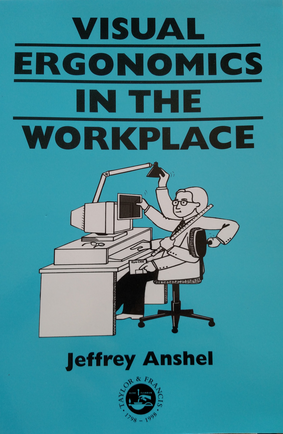 The text integrates the knowledge of leading experts in the fields of optometry, ergonomics, eye safety, and occupational medicine into a comprehensive, easy-to-read volume that also analyzes the economic benefits of developing a workplace visual ergonomics program.